I tried really hard to like this book because the the writing is great with a very nice pacing. The secondary characters are wonderful also. What really got me however was Toni, the heroine. She is so busy blaming herself for things that occurred five years ago that I am rather surprised that she hasn't found a way to get herself shot especially considering her line of work. Personally I have been in an abusive relationship and I do know how it can color one's outlook but enough is enough. It really gets boring when we are hearing how horrible she is at least once a page. 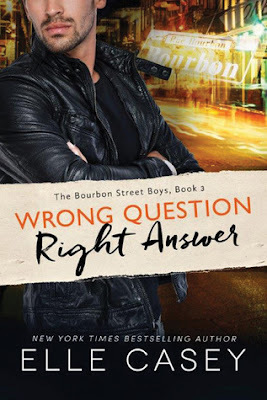 I would recommend giving this book a pass however if more books are written about the Bourbon Street Boys they might be worth checking out. Remember how I said the other characters are great.